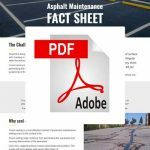 Asphalt pavements show signs of deterioration after about 7 to 12 years. Water. Gas and Oil. Salt. Chemicals. UV radiation. They take a toll on your paved surfaces. Sealcoating protects your asphalt surfaces, providing a barrier from harmful elements. A coal tar emulsion sealer is the perfect substance to combat the degradation of your asphalt pavement. First impressions matter. A well-maintained property has higher value and greater appeal. Your parking lot is people’s first impression of your property. A good parking areas means reliable owners, high-quality property with well-maintained units. A well-maintained property leads to higher occupancy rates, less turnover and overall greater satisfaction. Over 15 years, an unmaintained surface costs $39.07 per square yard. Regular maintenance of sealcoating every three years reduces that cost to $23.84 per square yard. Sealcoating can transform your paved asphalt surface in 48 hours. We then apply two coats of asphalt sealer using either squeegee or sprayer. 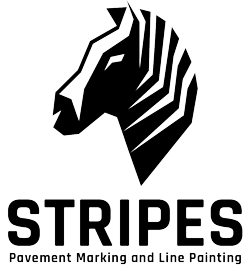 After those 24 hours, your sealed and striped parking lot is ready for traffic.